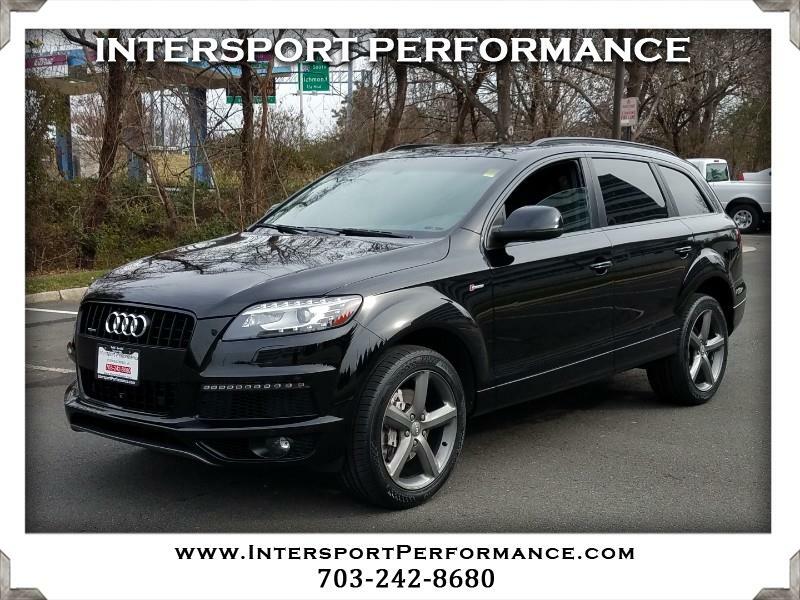 2015 Audi Q7 S Line Prestige Quattro. Full Audi Bumper to Bumper warranty until Feb 26 2020. AudiCare prepaid 35kmi 45kmi service included. Just had the 25k service as well as full check over at Audi. We just put on 4 new tires. One owner. 24709 miles. 8 speed auto trans. Night Black exterior. Black leather interior. 3 row, seats 7. Towing package. S line plus package with 20 inch wheels, black optic package and matte black roof rails. S line interior package with black headliner, s line shift knob, 3 spoke multi function steering wheel with paddle shifters, brushed aluminum trim, heated and cooled front seats, heated rear seats. 4 zone climate control. bluetooth. navigation. bose sound. panoramic sunroof. heated, auto dimming and power fold mirrors. parking sensors front and rear with rear view camera, front camera and corner view cameras. satellite radio. adaptive head lights with daytime running leds. clean carfax/autocheck, one owner, like new condition. originally $64,900. huge value with warranty, new tires, service prepaid. It doesn't get any better than this. please call us at 703.242.8680. thanks.